Beautifully appointed self contained guest annex in the picturesque village of East Haddon. 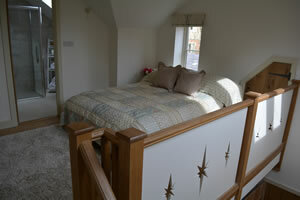 The annex consists of a bedroom with king size bed, flat screen television and modern shower room. The annex has its own lounge and pretty kitchen. We are close to Althorp House, Coton Manor Gardens and Silverstone race track. Please visit our website for further details and photographs. We are baby and animal friendly!